When you watch a tug of war, it’s everyone’s instinct to keep your eye on the flag tied to the middle of rope which tells you who is winning. That’s the point, right? Who is going to win? Trade negotiations in the twitter era play out much like this. Every day we get multiple, sometimes conflicting, reports about what is being said between the two parties grabbing at the assets they want in order to win a trade. And as fans, we read it all in real time and watch the flag move. The Lakers are low-balling! Or is their offer actually reasonable? The Pelicans aren’t even answering the Lakers calls! No, they’re engaging in talks and are preparing a counter offer! The Lakers are advancing talks and have spoken to the Pelicans multiple times and made a huge offer! But wait, the Pelicans aren’t really countering (or are they???) and are leaning towards not making a trade before Thursday’s trade deadline, instead wanting to wait until the Celtics — who have indicated to the Pelicans to wait until they can jump into the competition — can negotiate too! I haven’t even gotten into the subplots of how Kyrie Irving’s pending free agency impacts the Celtics or how Lonzo Ball’s camp (aka his father) is trying their hardest to steer him to the most desirable location in any potential trade. Watching this all play out is dizzying. And exhausting. And, on many levels, just plain frustrating. At some point, we’re all fatigued and we’re not even the people trying to pull the rope and move the damned flag towards our side. Once a trade demand goes public, every leak from every side is strategic in some way to gain or enhance leverage. We’re in the lying season, ya’ll. Act accordingly. Any pursuit of any star player goes exactly like this. All sides are engaged in misdirection and guerrilla warfare, angling for leverage through the media and trying to move the flag to their side. When you swap “star player” for “one of the top 5 players in the league”, this elevates the stakes and makes everything even more public. Add the Lakers into the mix and you’ve just exposed the situation to gamma rays. When you listen to longtime observers of the league, they’ll tell you they’ve never seen anything quite like this. So here we are. Just waiting for something that may never come. Like rubbernecking on the freeway before the accident even occurs. If you want my take on the Lakers pursuit and want of Davis, it’s both simple and quite complicated. The simple part: Davis is one of the game’s best players and getting him would be a win. Going through all this is just the machinations of executing a deal. But, the end game, should you get him, is you now have a 25 (soon to be 26) generational talent capable of vaulting your franchise upward all on his own (if you question this, remove him from the Pelicans and see how it goes). Add him to a team that already has LeBron James (even this version of James who is nearly a decade older than Davis), and you’re well on your way to being able to build a true title contender. It is a talent league, after all. The complicated part is that getting him means likely gutting your team and filling out a viable roster, even over the medium term (forget this season) is difficult. The Lakers latest package includes nearly every young player of consequence and future draft compensation. Paying that price (or more) leaves the Lakers with some, but not a lot, of cap space to pursue other free agents this summer, a scantily stocked cupboard of young players, and not a lot of future draft capital to continue to build a winner. Can a great team still be built this way? Yes. But it’s a fine needle to thread — though, building a championship team always is. The other complication is, obviously, that the Lakers actually may not get Davis at all. The ramifications of a failed chase could play out in any number of negative ways, but chief among them is the fallout of having half the roster dangled as bait for Davis only to be told that they aren’t going anywhere (yet). The idea of team is built on community and brotherhood (or sisterhood). It’s sacrificing some of yourself for the greater good of the whole. Selling that to players you were ready to ship out is hard. Buying it, if you were the one on the block, can be even harder. It can be complicated further when you’re only on a 1-year deal or when you know that you’re safe now, but might not be safe later. In other words, the Lakers have played their hands and told a bunch of their players, explicitly or not, that they are viewed as less desirable than something else. Coming back from this is hard. 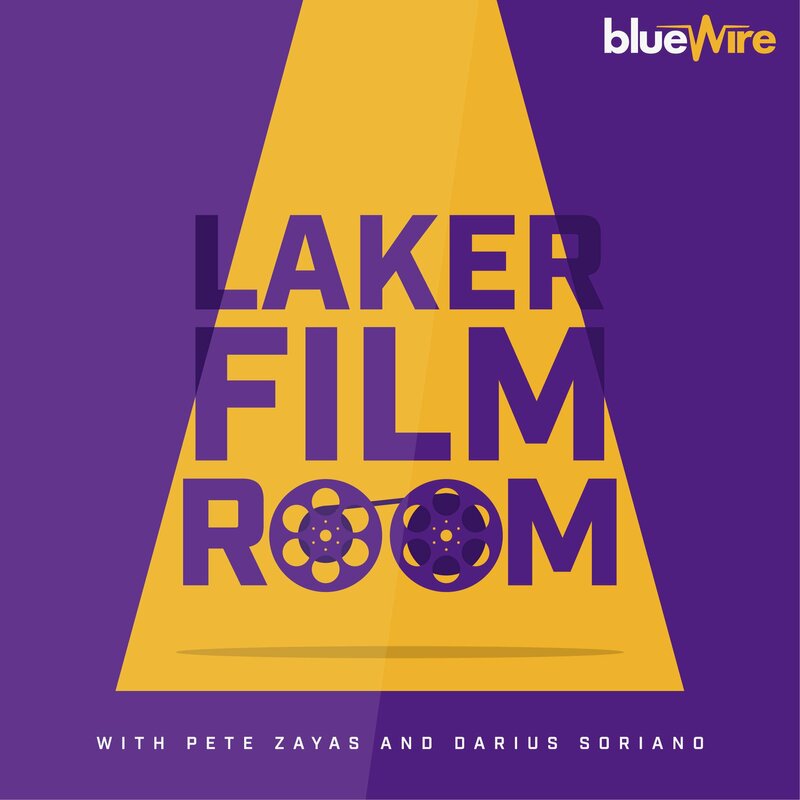 We saw this with Lamar Odom who took the idea of being traded and brought back so hard he ultimately forced his way out again and then spiraled downward to the point that his career (and personal life) were never the same. That’s an extreme example, but those outcomes on the margins are still in the realm of possibility. To say the least, then, I’m quite anxious to see how this goes and what the final outcome will be if only to restart the pursuit of larger goals in the 2nd half of the season. 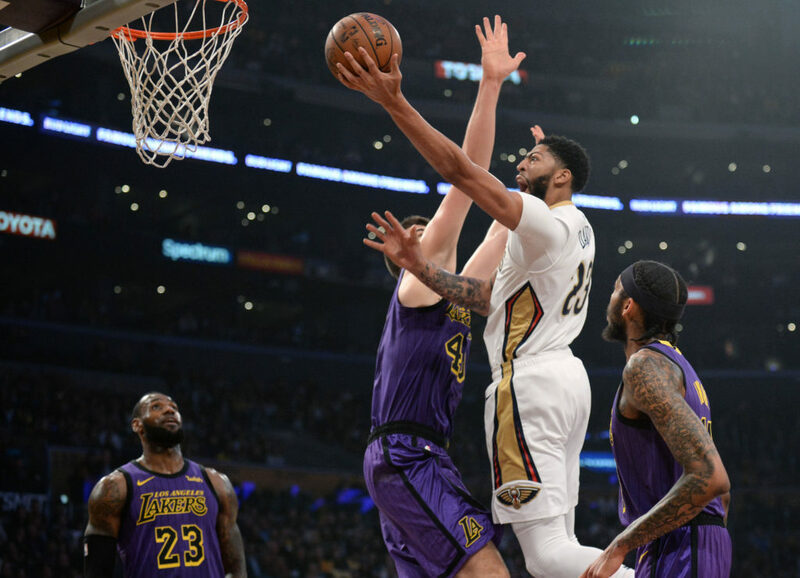 I’m in the fortunate position where I not only love Anthony Davis and truly valuing the Lakers young players while thinking very highly of them. So, however this goes, I’m going to be okay. But I want this all to be over soon. Just someone move the damn flag already.